Our current discounted rates for 2 people are 20% under rack rate. 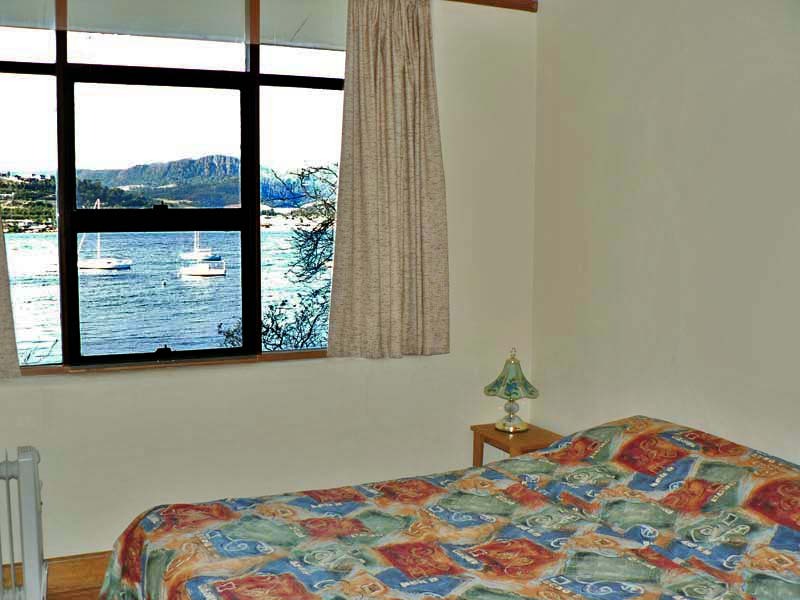 Normally the minimum stay is 2 nights and during peak periods 3 or more. One night stays are at our discretion and may attract an additional fee. Cleaning fees may be charged if our properties are left in a mess or for shorter stays at our discretion. Discounts may also be offered for longer stays. Extra persons attract a nightly charge. Please note that we reserve the right to refuse a booking without giving a reason. Weekend nights are Friday, Saturday and Sunday nights. Bookings are not confirmed until a deposit is paid and you are notified they are confirmed. Trade cards attract rack rate. 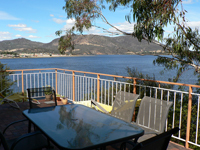 Derwent Retreat is a fully equipped modern waterfront house on the Derwent River with three bedrooms. It sleeps up to 9+ people and one baby with a configuration of a queen, double, two singles, two king single foldouts, a double divan and a single folding bed. 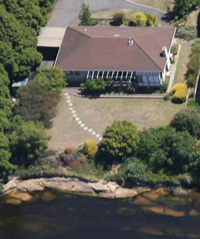 Derwent Hideaway is a 1960's fully equipped architecturally designed waterfront house on the Derwent River with three bedrooms. It sleeps up to 9 people and one baby with a configuration of a queen, double, two singles, a sofa folding bed and a single drawer bed. Derwent Vista is a modern fully equipped waterfront house on the Derwent River with three bedrooms. It sleeps up to 9 people and one baby with a configuration of two queens, two singles, a sofa folding bed and a single folding bed. Find your way onto the old Main Road and follow it north or south as the case may be to Austins Ferry. 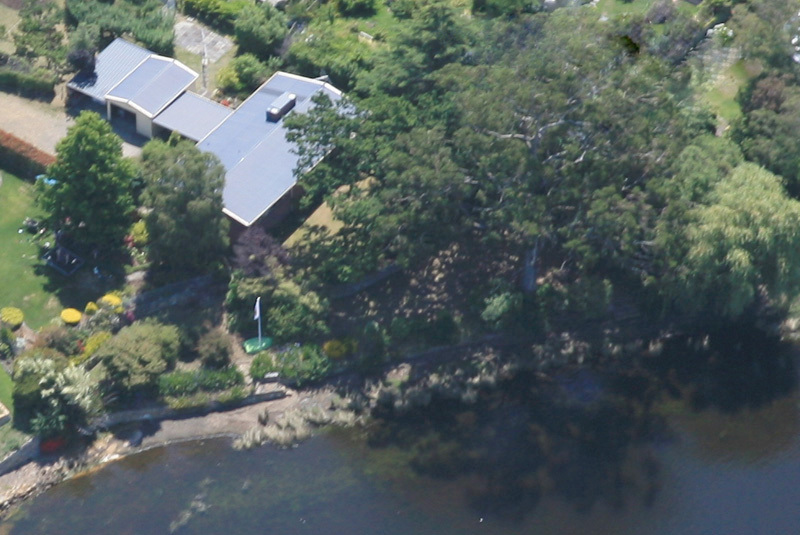 Austins Ferry Road is opposite the stone gates to historic Roseneath Park between two groups of shops. Turn down Austins Ferry Road towards the yacht club. Go over a rail crossing. For Derwent Hideaway and Derwent Vista turn right into Harbinger Lane just after the parks on the right hand side of the road at the top of a small rise. Follow Harbinger Lane next to the old stone wall. 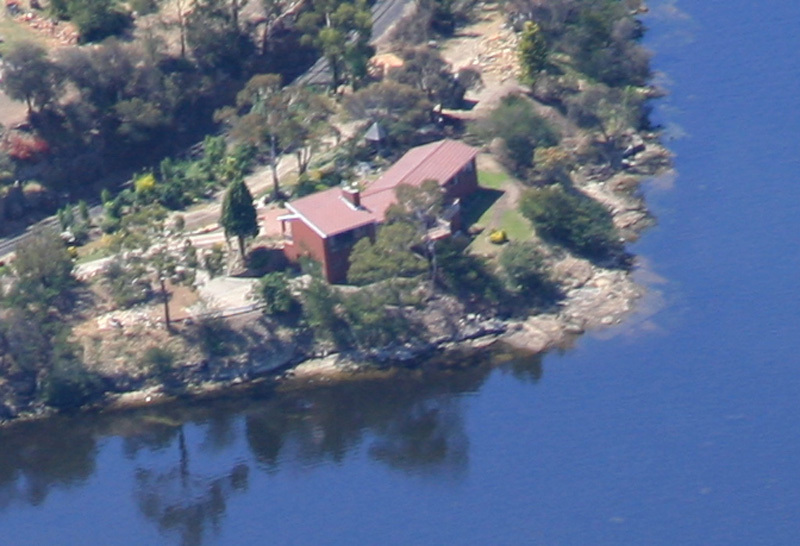 Derwent Hideaway is on your left and clearly marked as no. 4. Derwent Vista is no. 10 just before a big hedge further down the lane. 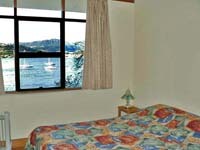 For Derwent Retreat stay on Austins Ferry road and keep going to the yacht club and then turn left into the car park. Drive through the car park, a short way across the park and then up a slight hill and to the right and you are there. Note that there is room for parking up to two or three cars at our properties. Ample notice is required and a fee applies if you wish to use it.